The input is much appreciated. I've heard about people getting spooked in traffic with low bikes, but I guess I just want to try it myself... my theory is that since I'm going slower than traffic, cars will be passing me and I shouldn't have too much of an issue with them seeing me. Especially with copious blinky lights. We don't really get semi trucks on the roads on which I ride- just Suburbans, Exploders, Acadias. Not small vehicles by a long shot, but much better than semis. I am used to riding bikes heavily laden with groceries, packages and even other bikes (they have to get to the shop somehow), so I don't think the weight will be a problem unless I just can't get it up to speed. 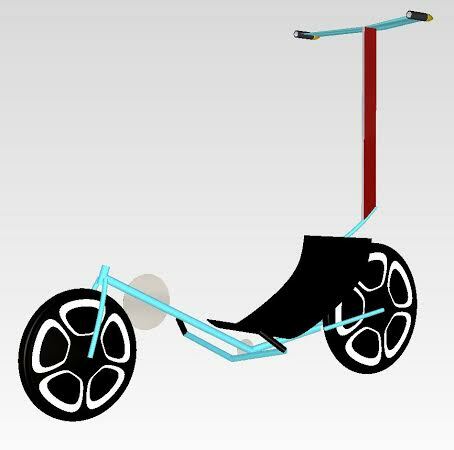 We looked at doing LWB but the front wheel had to be pushed so far forward to avoid crank overlap that we didn't think it would be practical. I've only ridden one lowracer in my life (video below, pardon the language) and it was a SWB RWD custom job. It was too big for me but after just a few minutes of riding I felt quite comfortable on it. I'm hoping that my enthusiasm there will carry over onto Project Blue Bike. LWB RWD proposal made in Autodesk Alias. I was trying to visualize stuff early on, and although I like the aesthetic, it would have been long. Do you know if there's anything I can do to reduce fork flex on this thing? I drew up another blueprint last night and the dropouts are moving quite far outboard on the 110m fork, which will have to be trimmed as well to fit the 135mm hub. Maybe some strengtheners should be welded to the fork. One last question, if you know. It looks as if you're using stock cranks, but would you have an idea how others re-tap shortened crank arms? I have been thinking I should make an account on recumbents.com... a lot of the inspiration for this bike came from their projects section. Last edited by Sven7; 08-28-2014 at 08:36 AM..
Maybe a cartrige BB and 3pc crank on version 2... I'll be able to fab up a new drivetrain while still riding the bike! Subscribed. Great planning. BTW, hadn't noticed thjs thread until I saw the link in your ren thread. 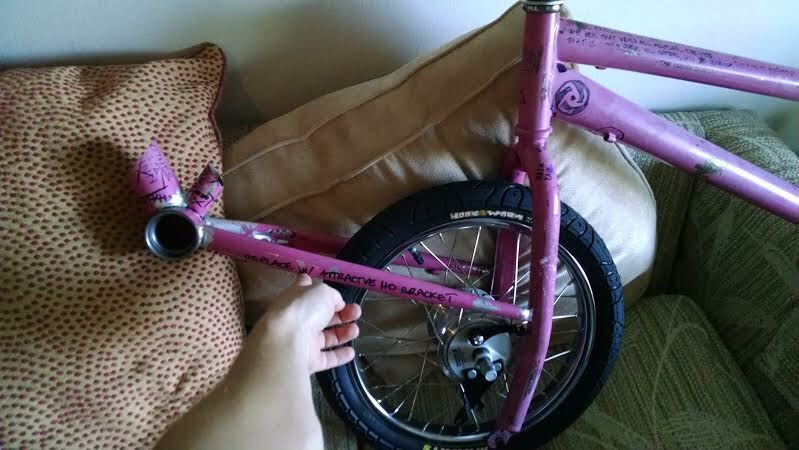 Check the one piece cranks on bikes for small children for shorter arm length. The aero drag on an non faired recumbent may be the same as that of a racing tuck upright. I just received my 13T/16T gears cut to mount on a S-A 3spd hub in a 26" wheel; with a 40/50T chain ring the bike is capable of 35 mph at 90 ppm. Nice project! I would like to try out a recumbent or trike someday. Are you sure you'll be able to double your average speed? Even on my ebike with a 28MPH top speed, I only average about 21 or 22MPH with stops included. The stops are killer. It is difficult to average out 0 MPH, plus the need to stop and accelerate.